In February, we had multiple houseguests, our floor was littered with fallen glitter from so many costume changes for different Mardi Gras celebrations. I worked at the studio, trying to finish up projects before they were forgotten in the carnival buzz and as I was leaving the shop, Bob strongly suggested again that I apply for a Platforms grant. I took the information home and, one rainy day, while we recovered between parades, I wrote the first grant I've even written where I felt like I had a solid idea of what I wanted to do. I'm not saying that glitter and a deadlne makes a good grant application because I doubt it does. 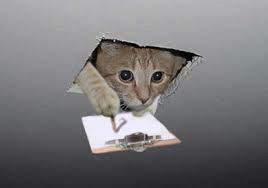 I think this idea has been brewing inside me and seems like the next logical step. A month later, I received an email saying I had been awarded the grant. 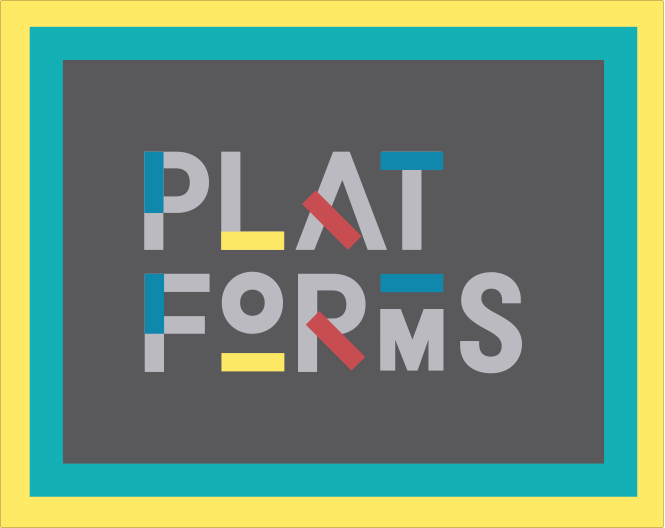 The Platforms Fund is a collaborative re-granting effort of Antenna, Ashé Cultural Arts Center and Pelican Bomb with support by the Andy Warhol Foundation. Every year they award $65,000 in grants to a number of community based projects in New Orleans. I am one of many funded projects this year. This summer I will be letterpress printing and distributing 5,000 postcards as part of the Keep Writing Project. The June issue of Keep Writing, number 110, will be a mini-census for the city of New Orleans. Since I moved here in 2002, summers in New Orleans have changed. It used to be the low season for tourists. Anyone who could leave, would. It was quiet. If you stuck around, it was great. The usual bustle was tampered by heat and you made friends with whoever was left in town. But not everyone can leave. And the tourist based economy thrives on constant influx of outsiders. I want to take a poll of who is here, and why, where they are from and what they consider home. I will bring these cards with me as I sit at the library, the playground, at summer camps, at the neighborhood bar and wherever anyone will have me. I want to talk to you about why you are here, how you got here, if you will ever leave. Let's talk about home and home towns, about the changes in this city. I am in the process of booking events--casual porch sits and structured talks about letterpress and community. If you have a porch on a busy street, can I come and sit and talk to you and your neighbors? Are you a teacher at a summer camp who wants a guest artist-speaker? I am looking for public spaces with a variety of people to interact with to get a good sample of who is here. Get in touch. I am reaching out to my friends, peers and co-workers but maybe you know someone I don't . If you are a subscriber you will receive your card as usual. If you are a resident, you can follow me on instagram @gutwrenchpress, and use the hashtag #summercensus to see where I'll be! In November, in time for the NOCAZ, I will release a new issue of Where You From? documenting the data I have collected. Stay tuned for lots more news about this! I know I know it isn't Thanksgiving yet but I'll be at a bunch of markets---every weekend at least one!--from now until Christmas. And this weekend has a special one so I wanted to get this out early. If you live in South Lousiana or if you are coming by in the next six weeks, come say hello! Click on links for more details! Any outdoor market is subject to agreeable weather so check for updates on my fb page! It's White Light night in Baton Rouge so Government Street will be buzzing with art openings, markets, drinks, food and seasonally chilly air. I'll be in the alley between Arlington and Eugene but take a walk through all the vendors! The New Orleans Comics and Zine Fest is back! Held in the downtown public library, with lots of family friendly fun--from 11-4 on Saturday and 12-4 on Sunday. Typothetae is back! Prints, cards, books and more from 7 local artists gather under one tent to share our letterpress love with you. We will be at Palmer Park both days, 10 am till 4 pm, and many of us have new stuff! Two places at once! While members of Typothetae are in Palmer Park I will at Press and Dauphine sharing a spot with Lizxnn Disaster and her amazing collection of vintage clothes, flower essences and embroidered hankies. Rescheduled from October, this neighborhood arts party has live music, food and vendors hosted by the lovely people of Ogden Park. I will be on Beverly Street near Government so stroll by! Once a year, the Odgen Museum in New Orleans asks artists and crafts people to sell in the museum for a few hours. This is our first year trying it out but I have always loved the Ogden. The original and my favorite. A sweet day in Clouet Garden with all the best of New Orleans's scrappier self-publishers and artists. Back to Baton Rouge for another round on the corner of Eugene and Government. We will be here with other members of Typothetae selling the last of our holiday gifts uptown from 10 am till 4 pm. Now that you have your gifts come uptown and print some gift tags with me! I will have letterpress goods for sale too. Free! Ashlee of smallchalk is hosting a popup every Saturday between Thanksgiving and Christmas. Follow her for more details on the other unique offerings. Is that it? Not really. I'm also teaching a class or two, and giving a talk in Baton Rouge so follow me on facebook for more up to date information. Or, stay home and shop at my new online store. But I'd rather see your face. I brought a camera to New Orleans, I even checked the batteries before I packed it. And then it stayed in my bag for my entire visit. Most of the time, I wanted to just be with my friends, ride around, not answer the phone, not check my email. Aside from arranging meet-up times with busy friends, mostly it worked. My first day in town, my friend Matt Runkle made a facebook challenge. Normally I ignore these, I duck in the internet corners so I don't get picked. But this one was about posting five black and white photos in five days. It was a challenge I was willing to participate in. I love color photos. Phone cameras and apps have improved, making it easier and easier to take lovely square images. I used to own a poloroid camera . The colors and instananeos nature of poloroid was appealing. Also the physical photo that emerged, to be tucked into a notebook, or glued to a journal cover. With all the instagram fanciness, it was nice to focus on composition with the same instant results. I took a few photos that didn't work in black and white, but here are the five I chose. I posted them on facebook but I thought they were nice all together. Maybe I will start taking more.